Metro ridership is down 5% over last year. As Metro did not project this decline, this means that Metro faces a substantial budget shortfall of $15 million from the decline in rail revenue and $5 million in bus revenue. Yet, Metro plans to add another 59 employees to the system. 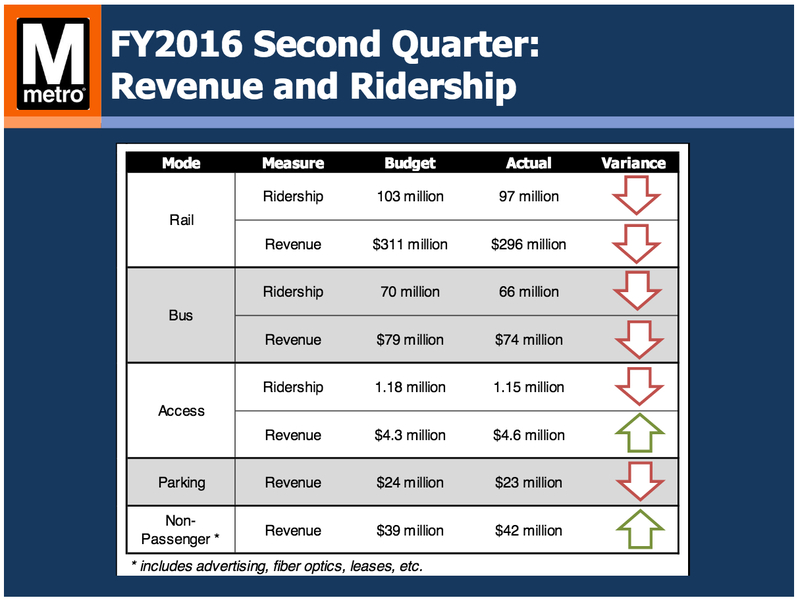 If it raises fares, ridership will decline even further. Metro also needs to spend money on the rail system, as its reliability still seemingly continues to decline on a near daily basis. People don’t want to ride a system that is undependable. Bringing it home to Maryland, it would be interesting to know how many few people are boarding or alighting at Maryland Metro stops. Additionally, how does the steady decline in ridership affect the projections for Purple Line ridership, as many of its passengers are expected to change to the Red or Orange Lines?